Reddi-Rooter is a fully licensed and insured plumbing company offering a wide-range of services including repairs, installations, diagnostics, clog removals, and more. The service provided by our plumbers in Boca Raton, FL, and the nearby cities doesn’t end on Friday evening at 5pm and start back up again Monday morning. Reddi-Rooter is a 24-hour, 7 day Emergency Plumbing Service. No matter what time or day, when our customers have an emergency, one call to us and their problems will be taken care of! Our technicians are professional, knowledgeable, and highly skilled in their field. When you hire us, you’re hiring a plumber Boca Raton homeowners have trusted for years. You’ll receive high quality care and attention to detail all the time, every time. Having someone you can count on to do the job properly during an emergency is vital to ensuring further damage does not occur. During a plumbing emergency call the only service you can always count on, Reddi-Rooter, and get “REDDI” to find out what a professional can do for you! Whether you need elaborate plumbing installations or complex repairs, we can help. Our company has an extensive list of repair and installation services that include, but are not limited to: water heater repair and installation, leak location and repair, building drain and sewer repair and installation, building drain and sewer video inspection and mapping services, shower valve repair and installation, and many more. For more detailed information click on Plumbing Repairs and Installation Services. To ensure the plumbing in your home or business is running properly, we proudly offer our ON-THE-SPOT Plumbing Inspections. Used to diagnose reasons for a high-water bill, or to locate leaks, this service may save you hundreds, if not thousands of dollars a year, in your water bill. There are multiple culprits for a high water bill and often times it is as simple as a leaking pipe or a toilet in need of repair. Often a home or business may have a building drain or sewer that backs up once or twice a year and the problem is a little more serious than just a clogged building drain or sewer. If necessary, a sewer video inspection can be done when stoppages are a frequent occurrence to locate and identify the cause of the problem. Our Sewer Video Inspections and Mapping Service is used to locate the problem so we can give a legitimate quote for repair as well as to minimize damage to the existing structure, driveway, patio, or landscaping when making the repair. Our expert plumbers from our Boca Raton, FL office have the knowhow and the ability to find your problem and properly repair it. For more detailed information click on Plumbing Diagnostics Services. 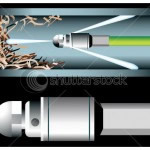 Clogged drains and backed up pipes are just about the most frustrating issues homes or businesses can encounter. We realize the importance of maintaining your plumbing system to ensure its longevity. We offer our 24-hour emergency service for your clogged sink, shower, tub, or toilet needs. For more detailed information click on Clog Removal Services. 561-451-4559. You can also send us an e-mail!